As many of you, I depend a lot on my cell phone! Without it, I have no idea how to get in touch with friends and family because since the address book, I stopped learning phone numbers by heart. So if I carry it around and buy a nice one which can successfully replace a laptop for some tasks, I’d love to listen to music on it! And here comes my problem! 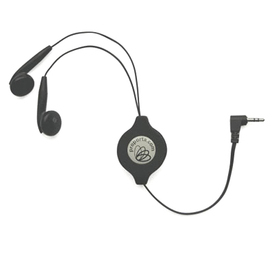 The standard headphones such devices come with. I hate them! My ears are a bit too small for them. So if they don’t fall out every 2 minutes, listening to my favorite songs becomes this painful experience making me switch back to my mp3 player that I can use custom headphones on! I am not saying they should come with three different types of headphones in the standard package. But I’d love to see other options on their site, or at least a referral link to those producing them. But no! Luckily for me, when I want something, I’m pretty good at googling it. And I of course found an adapter for my new phone, which I will order after my vacation. Still, why loose the opportunity or, when a customer calls, say you have no solution for them when it’s actually very, very simple?